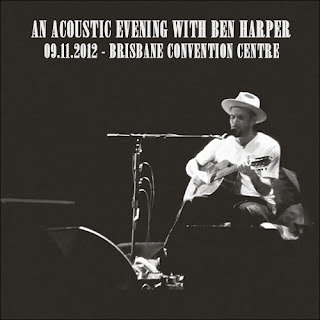 This was my second time seeing Ben Harper live, however this time it was a solo performance. There is plenty to enjoy with this recording. The concert itself went for three hours! A solid mix of songs spanning Ben's whole career, there is something for fans new and old. Ben himself told many interesting stories throughout the show, most touching was the story of how his families music store came to be. Unfortunately this was one of -those- concerts where every drunk wanker had to yell out their "hilarious" remarks, whistle, screech or in their drunken state they must have thought Ben was a jukebox and not a musician. There seemed to be a significant lack of respect among some members of the audience. Some of the banter was amusing though and Ben engaged with a few of the audience members. The highlight for me was the cover of the Bruce Springsteen classic Atlantic City. Plenty of other great moments in this recording though, so give it a listen!